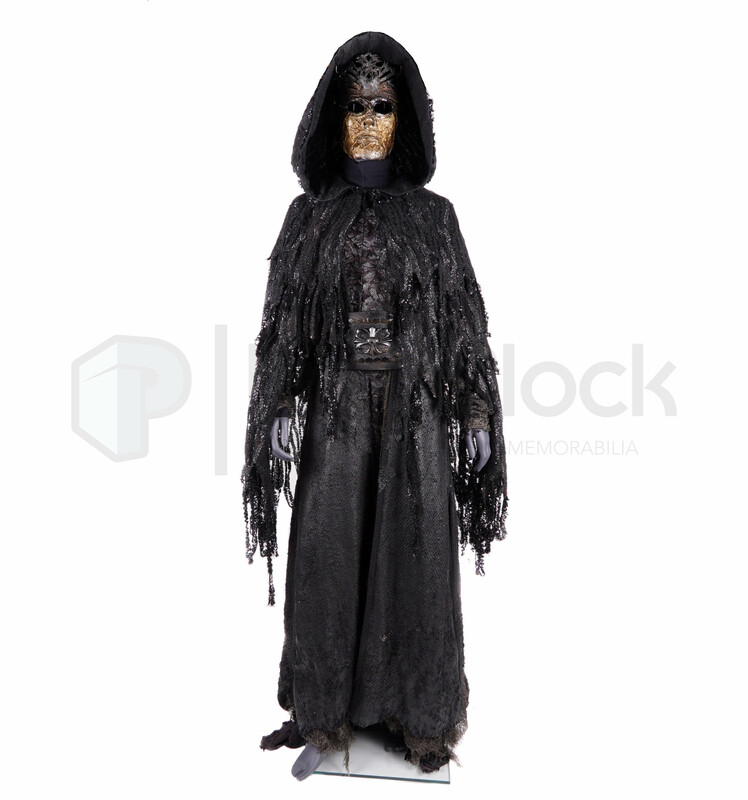 Hero ensemble worn by “Nimue” The Dark One in the ABC television series Once Upon A Time… A young woman with a troubled past is drawn to a small town in Maine where fairy tales are to be believed. 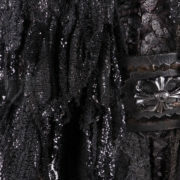 This costume was worn fan favorite episode entitled “Nimue” and consists of various layers and intricate costume details to create a one of a kind ensemble. 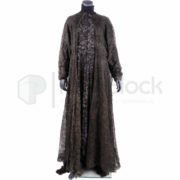 The first layer is a floor length one piece dress featuring a dark purple crinkled fabric and attached long sleeved lightly woven fabric dress that is attached to the neck seam. 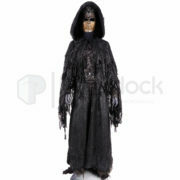 Layered on top of that is a vest style floor length garment made of wool and cotton that is black in color with attached loose fabric swatches and pleats on the sides. 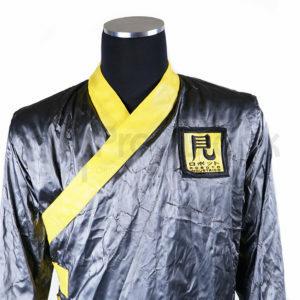 The costume features a large black leather belt with metal detailing, hexagonal decorations and a large black metal buckle. 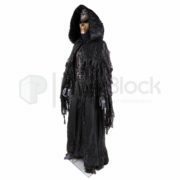 The next section of the costume is a black fabric shaw with attached hood that is embezzled with attached black and silver detailing with a neck clasp. 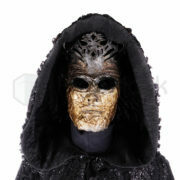 The hood is oversized and lined with black satin. 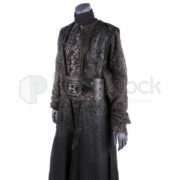 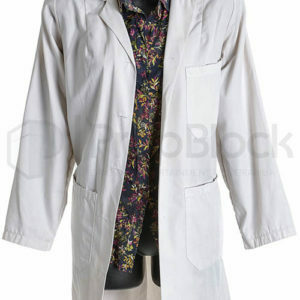 The costume also features a set of elbow length black gloves (not pictured) and a long sleeved dark grey turtleneck. 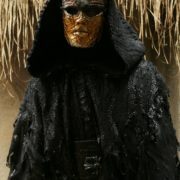 The costume is completed by a beautiful hand made “expressionist” style mask. 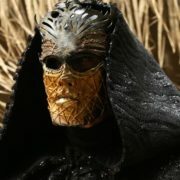 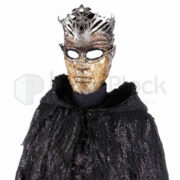 Made of fiberglass, resin and metal the mask features intricate cast in line detailing on the face with a pointed crown section. 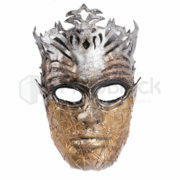 The mask is colored black with hues of silver and gold, which has been aged by the production. 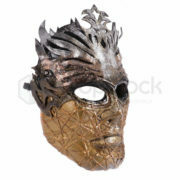 The mask has a black elastic band and has been lined for the comfort of the actor. 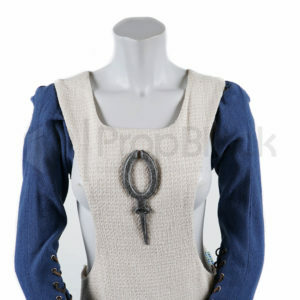 Each wardrobe item features a sewn in “Once upon a time” costumers label which identifies the costume as “Hero”, and the mask features a white label inside reading “Nimue Hero”. 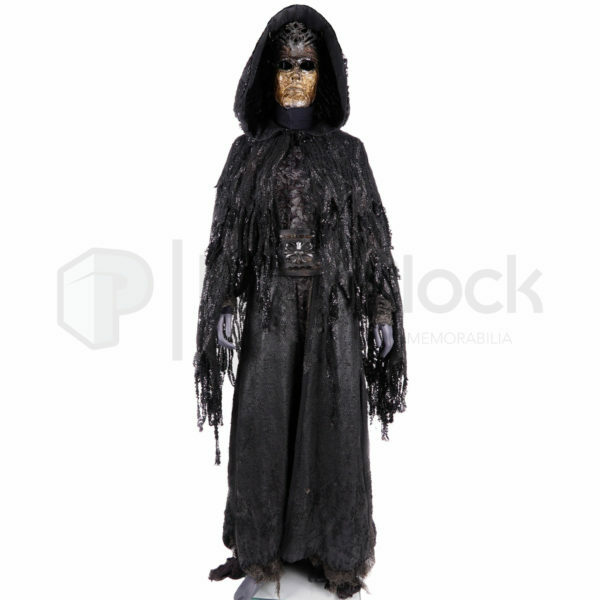 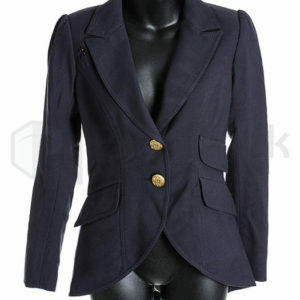 Each of these items were custom made by the production for use in the show, were originally sold via the studio sanctioned auction and remain in excellent, screen used condition.